Jilly Jilly Design // Hello lovelies, hope you've had a great week. You'll no doubt know from my weekly instagram update posts [see here, here and here], that I'm huge fan of the social platform. It allows me to share, post and find inspirational and motivational pictures, come across new brands and products and interact with so many different people across the world. 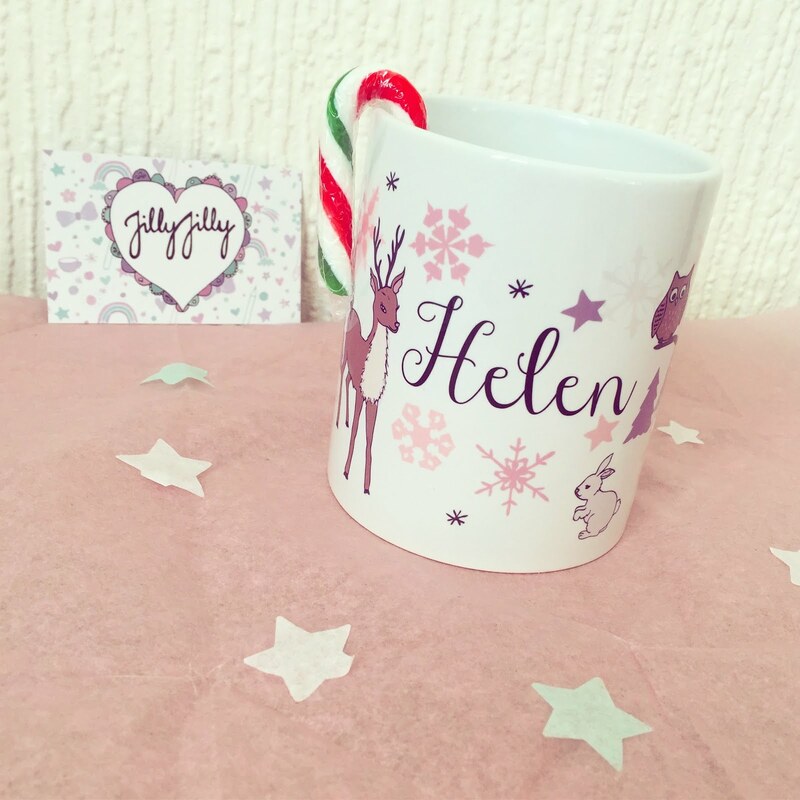 A couple of months ago, I stumbled across a company called Jilly Jilly Design and instantly fell in love with their quirky & kitsch range of products. Last week I saw that the company were having a giveaway competition and knew I had to enter. It seems like I'm a very lucky duck, because low and behold, I only went and bloody won! 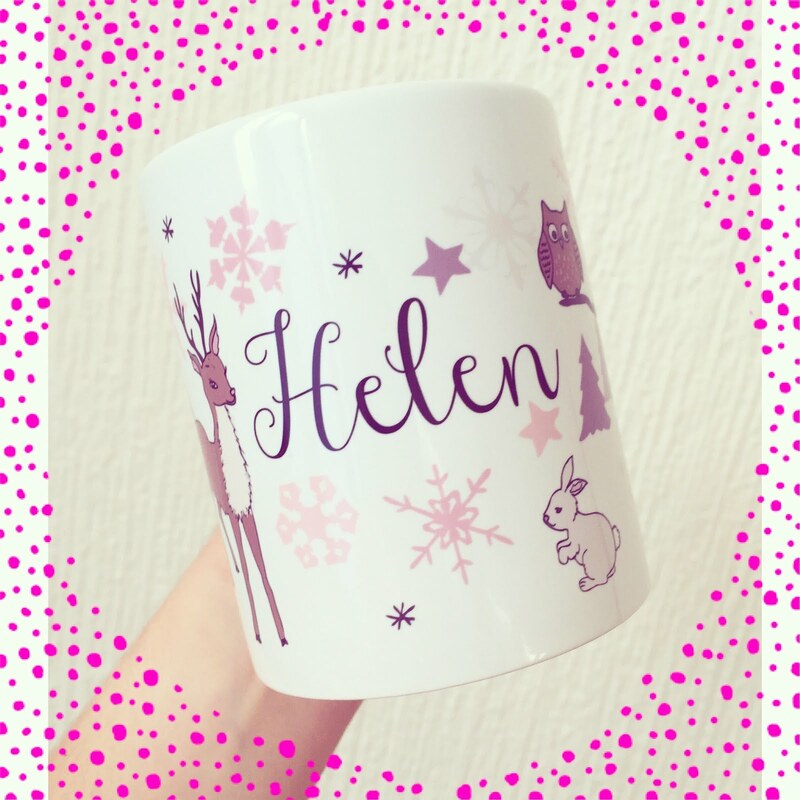 I'm over the moon to have received this lovely personalised mug, just in time for Winter. The item arrived beautifully packaged, with gorgeous tissue paper and little touches - alongside the mug came a mini candy cane and star-shaped confetti. 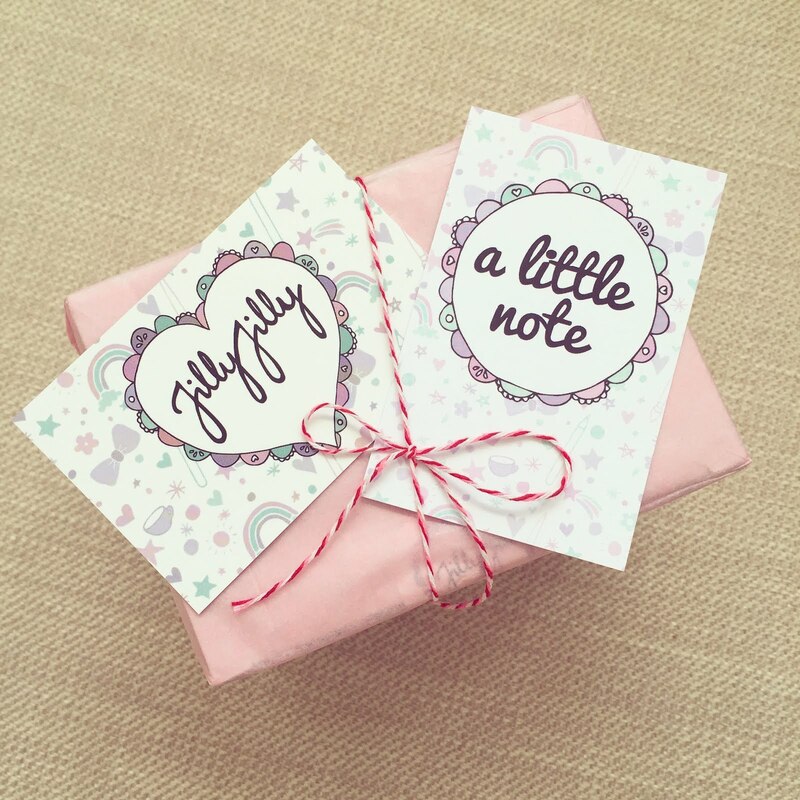 If you're looking for a lovely gift for that lovely someone, I'm sure you'll find something delightful at Jilly Jilly. I'm so happy to be adding this mug to the collection, can't wait to make some hot chocolate and enjoy sitting in front of the fire over Christmas time. * FYI, this post is not sponsored - I'm just sharing some love for a cute brand! Ahh that is the cutest thing! Annnnnd a perfect Chrimble gift!